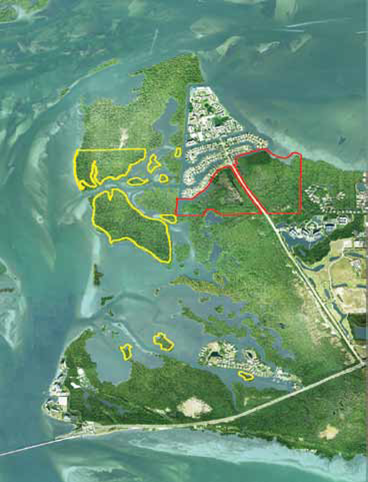 Two parcels of mangrove wetlands straddling Shell Point Blvd are the target for a housing and marina development first proposed in 2012 called Eden Oak Preserve. 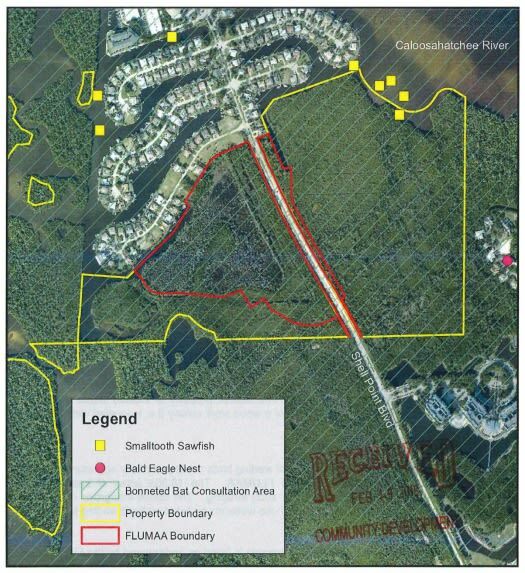 The development plan targeted 158 acres of wetland and open water to build 252 multi-family units, 54 single-family units, and a 171-slip marina with a clubhouse and community pool. In addition to mangrove habitat destruction and water quality impacts from runoff, the project will impact a number of protected species that live in or utilize the area, including the Florida manatee, Smalltooth sawfish, and the ornate diamondback terrapin. SCCF will continue to track this project through the permit review process. The project is currently under zoning review by Lee County. The zoning hearing on Eden Oak was continued until September 25th at 9:00 am on the second floor of 1500 Monroe Street, in downtown Ft. Myers. We will keep the public informed on any updates or changes to the project and future hearings. The applicant has withdrawn their South Florida Water Management District Application, so the State and Federal application review are on hold at this time. Please contact our Policy Director, Rae Ann Wessel at rawessel@sccf.org with further questions.